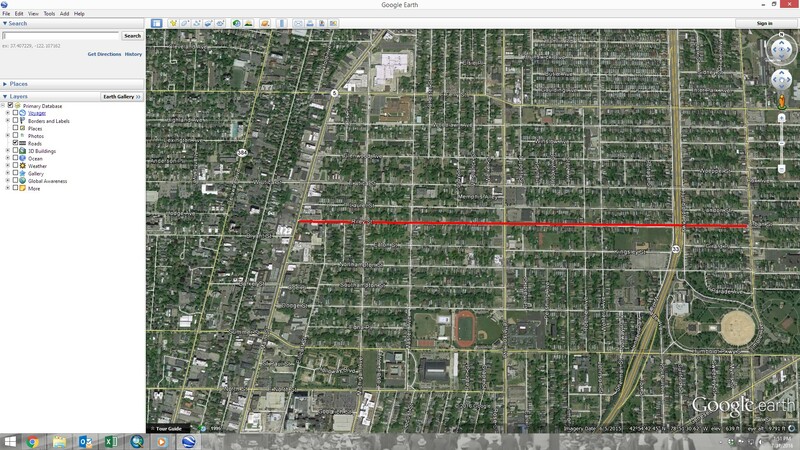 Timon Street is located on the East Side of Buffalo, running between High Street and Northhampton Street, parallel to Jefferson and the Kensington Expressway. 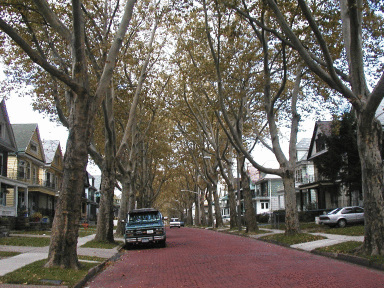 It’s one of my favorite streets in Buffalo, with its bricks and beautiful sycamore trees. 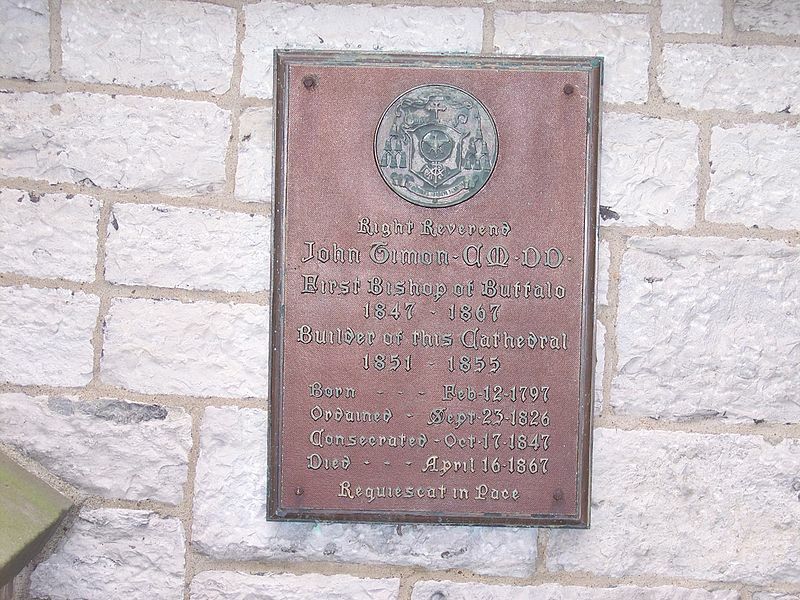 The street is named after Bishop John Timon, the first Bishop of Buffalo. John Timon was born in Conevago, Pennsylvania in February 1797, a child of immigrant Irish parents. His family moved to the frontier town of St. Louis Missouri, where his father opened a dry goods store. John was an astute businessman, and the store had great success after he took over from his father. John Timon was said to be polite and handsome. He was described as a social lion and “an object of interest for all anxious mothers with marriageable daughters”. One biographer commented that many though the store business became successful due to women coming to see John. The financial panic of 1823 hit the store to the point of financial ruin. Around this time, John had been engaged to young woman, who became sick and passed away. He saw these two things as the ordeal of suffering in the realms of which vain men find themselves: fortune and the heart, and decided to enter the priesthood. In 1823, he entered into the order of the Vincentians and was ordained in 1825. He first served as a missionary. He later spoke of the rough conditions as a missionary that the harder his labors, the more he felt pushed to spread the light of the gospel. He served all people in the locations he visited, not only the white settlers, but the Native Americans and the slaves. He journeyed hundreds of miles through unsettled countryside on horseback for 20 years. He ministered in missions in Texas, Kentucky, Missouri, Arkansas, Indiana, Mississippi and Louisiana, at a time when developments were far and few in-between in the west. In 1847, Father Timon was nominated by Rome as Bishop of the newly created Western New York diocese. The Diocese was first established to include 20 counties in Western New York. 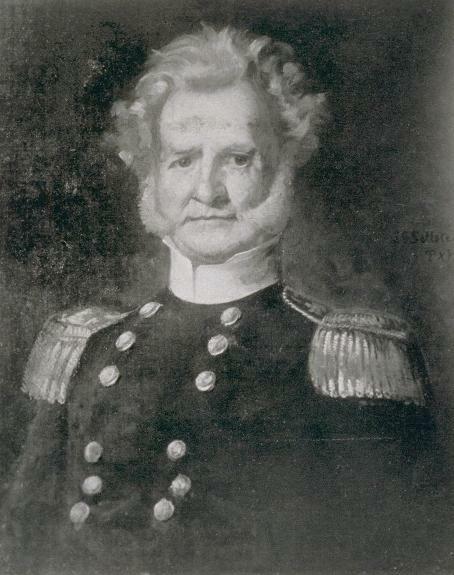 Bishop Timon’s arrival in Buffalo was fought with opposition from the trustees of St. Louis Church, which was at the time the largest Catholic Church in the Country. St. Louis was a French and German parish, and Bishop Timon remembered his humble beginnings and had a strong affinity for the poor Irish settlers and lived with those who were more in need. 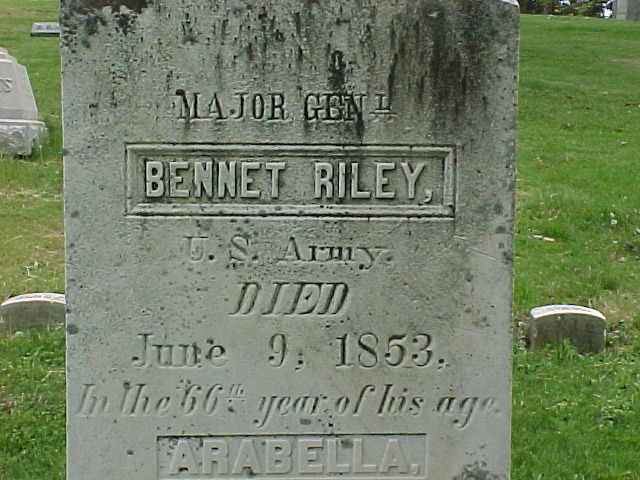 He moved from St. Louis Church to an apartment near St. Patrick’s Church (formerly located at Ellicott and Broadway) to better tend to the Irish. The Catholic Church in Buffalo had a strong divide between the German, French and Irish Catholics before Bishop Timon arrived, and it grew stronger following his arrival. After putting up with the opposition at St. Louis Church for years, in 1857, Bishop Timon excommunicated the men and closed the church for a year. At the time, the majority of Buffalo’s Institutions were protestant. Bishop Timon worked to meet the needs for the Catholic immigrants who were in need of services ranging from orphanages, hospitals, schools, etc. After trying to work with some of the Protestant institutions to provide Catholic needs, as many of the residents of the facilities were Catholic, Bishop Timon realized he would need to create his own institutions. He brought the Sister of Charity to come to Buffalo from Baltimore to help him. 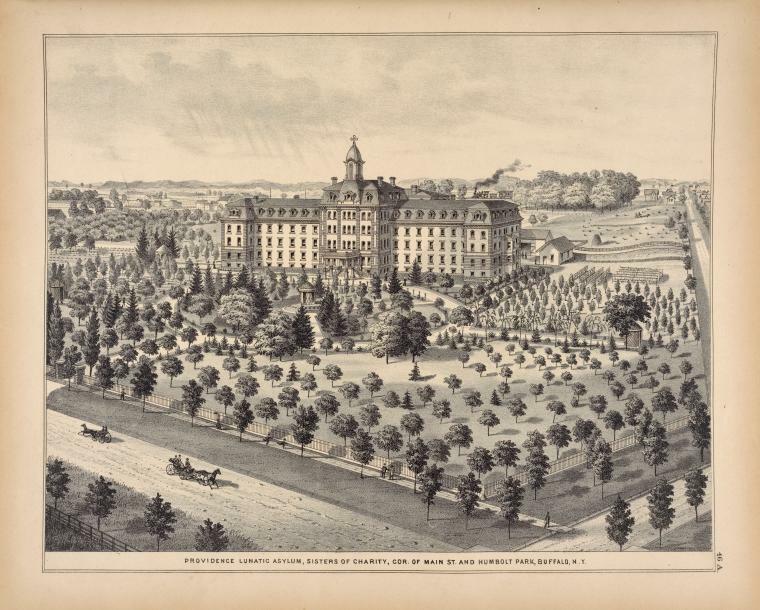 In 1848, the Sisters of Charity opened the first hospital in Buffalo. While it was run by the Sisters, it was open to all residents, regardless of religious denomination. The hospital got its start in a house at the corner of Pearl and Virginia Streets. 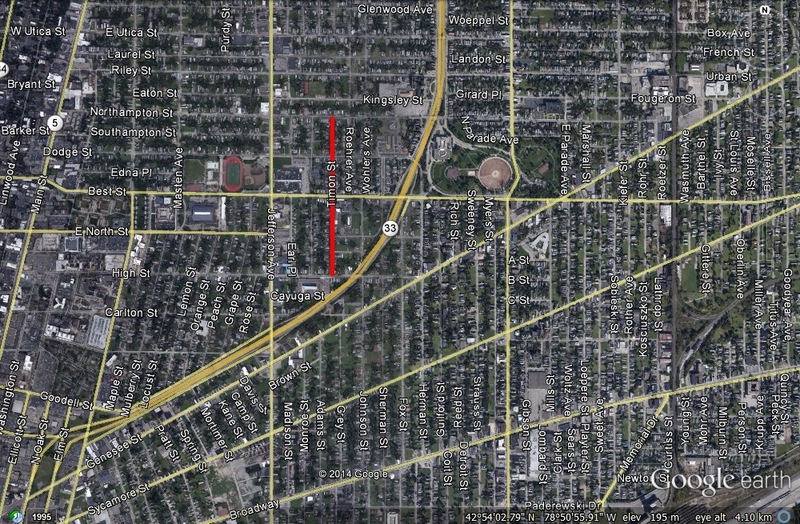 The hospital had several locations, including Main and Delavan, and is currently located at the corner of Main and Humboldt Parkway. This hospital is today known as Sisters Hospital. The hospital was run for 166 years by the Sisters of Charity and more than 850 Sisters have served at the hospital during that time. The Sisters had a presence in the hospital until June of this year, but the Sisters have passed their legacy on to the lay people who run the hospital. Bishop Timon was considered to have an extra kind heart. He was known to give his coat to beggars he’d pass on the street. A cholera epidemic in 1849 inspired him to established St. Vincent’s Infant Asylum, located at Ellicott street and Broadway adjacent to St. Patrick’s Church. The Asylum was created to receive children whose parents died, and was known to carry the children to the Asylum himself. Cholera epidemics occurred again in 1851, 1852 and 1854. The disease was rampant among the Irish along the waterfront. Since the disease spread through contaminated water, both parents would ingest the water so if they passed away, the children would be left parent-less. The needs for the orphanage grew, and along with it, young widowed mothers also needed relief. Bishop Timon established the House of the Good Shepherd, the first Catholic institution in the country to care for unmarried mothers and help them make a fresh start in life. The organization received, nourished, clothed, and lodged these women until better situations were found for them. The house accepted any girls, regardless of religion and allowed them to stay as long as they needed. 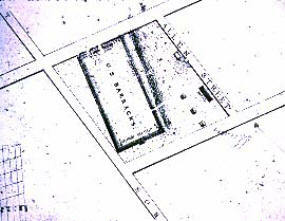 Bishop Timon sent one of his Sisters to visit the poorhouse Erie County had built in the north part of Buffalo. She was shocked by the conditions for the insane. Inmates were shackled to the walls and tied to furniture. 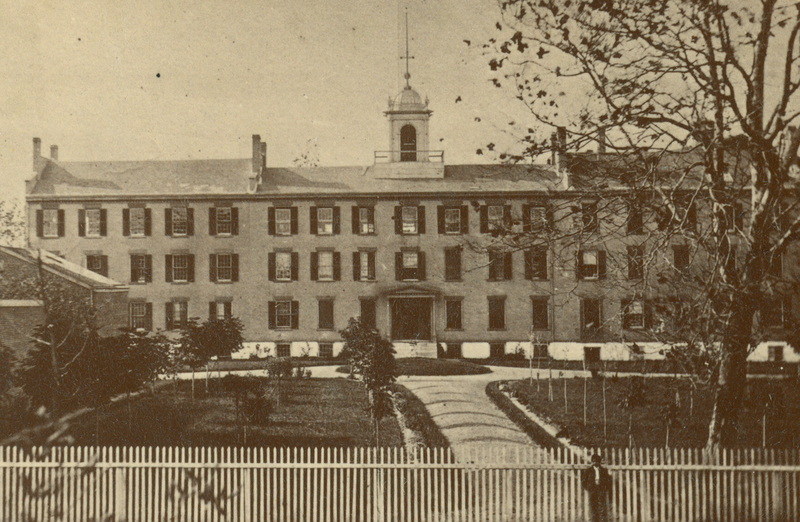 During the opening of the Providence Lunatic Asylum in 1860, Bishop Timon made a statement that the inmates were to be treated with humanity and not mastered by brute force. This statement was revolutionary at the time. Bishop Timon worked tirelessly to build a cathedral in Buffalo. He saw in the 1840s that Buffalo was going to be a great city and felt that a great city needed an impressive cathedral. 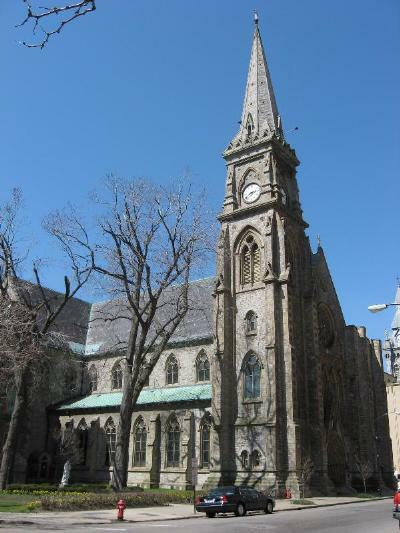 The Catholic cathedral was originally to be located on Washington Street near Tupper where St. Michael’s church is currently located. The opportunity then came for the Catholic diocese to purchase the Webster Garden Estate, located in the heart of downtown Buffalo, part of the “loveliest district with a beautiful park and rolling terraces stretching down to the shores of Lake Erie”. Bishop Timon invited Patrick Keeley, an architect from New York city to design the cathedral. Many of the laborers were Irish catholic immigrants who were too poor to donate to the cathedral, so they would donate their labor. They’d often work all day as a laborer at their day job and then come work on the church. The Cathedral was dedicated in 1855. (Note: a “new cathedral” was built at Delaware and Utica in 1912, but the construction was faulty – designed for Rome temperatures and not Buffalo winters, so the building had to be demolished in 1977, at which time St. Joseph’s became once again the cathedral in Buffalo). 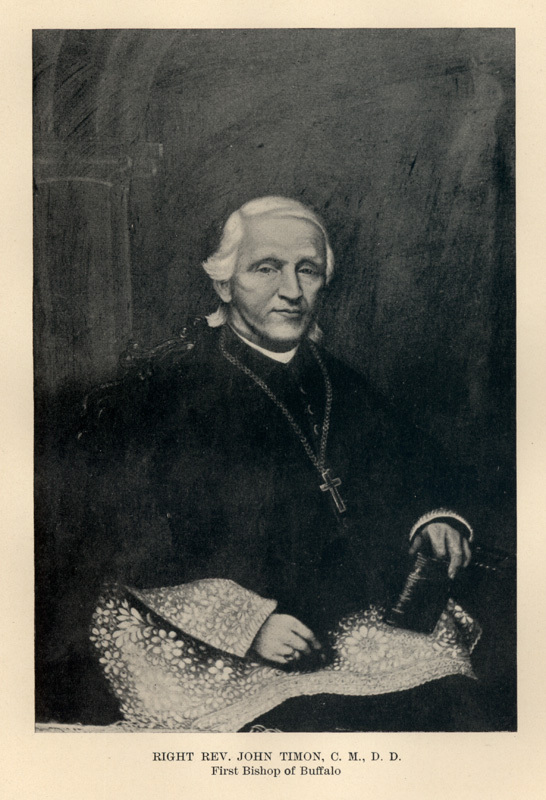 Among other things, Bishop Timon also helped establish Nardin Academy, St. Mary’s School for the Deaf, Niagara Seminary (now Niagara University), St. Joseph’s Collegiate Institute, St. Bonaventure, and several orphanages and schools. Bishop Timon was a man of great scholarship. He learned Spanish in a matter of a few weeks, just prior to a trip to Mexico. He spoke several other languages as well, to be able to converse with the Pope and other European monarchs and the needy immigrants arriving in the City. Bishop Timon’s friendship with the King of Bavaria convinced the King to donate a generous contribution to build St. Joseph’s Cathedral, along with donations from others in Europe and Mexico. Bishop Timon died in 1867 at the age of 70 of erysipelas, contracted from administrating religious sacraments in hospitals. An estimated 100,000 people came to view his body, lining the streets of Buffalo to view his casket. He is entombed in the crypt in the Cathedral that he built. Read about other streets by clicking the street index. “Memorials to Early Clerics In Street and Square Here”. Buffalo Courier Express. November 23, 1941. Bohen, Timothy. Against the Grain: The History of Buffalo’s First Ward. Bohane Books: 2012. Deuther, Charles George. The Life and Times of the Right Reverend John Timon. 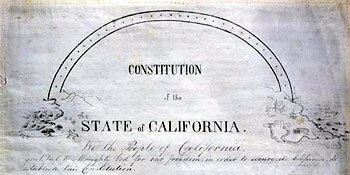 Published by the Author: 1870. Tokasz, Jay. “Daughters of Charity to Leave Sisters Hospital for Other Ministries”. Buffalo News. June 7, 2014.